The easiest way to understand the power of Excelpoint and how it can help your business is to see it in action. That’s why we recommend you get in touch and book a free 45 minute demo. But if you are just looking for some more information on the features behind our software you can read all about them below. Excelpoint provides all the tools and features you need to build comprehensive business systems in a fraction of the normal time. Creating systems typically takes minutes through to days rather than weeks, months or years. We do all this with a drag and drop, configuration-based approach, meaning that no programming is required for common tasks such as collecting, searching and processing business information. In addition, a wide range of pre-configured solutions are available for everything from asset management to service desks, which can be extended and customised to your specific needs. Create structured ‘information types’ in minutes to collect and hold business information. Control validation (such as mandatory or numeric), screen layouts and business rules simply by choosing options and using a drag and drop approach. Find information quickly with flexible search options. 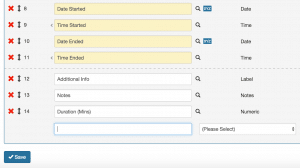 Pre-configure searches and reports for quick access to common information. Reference external databases and other data sources and present information from them within Excelpoint in seamless, joined up systems. Access your new system from any modern web browser, on desktop, tablet or phone, and via a suite of apps for iOS, Android and Windows Mobile. Create business process workflows, which are triggered when information is added or changed, at pre-defined times or when a user chooses them. Automatically generate emails and other notifications, perform cross database updates, output documents and trigger many more business activities with a simple building block approach. Secure your information with comprehensive team and user based permissions, plus access tests based on the information itself. Create comprehensive pre-defined reports and dashboards, including summarised information, charts and tables. 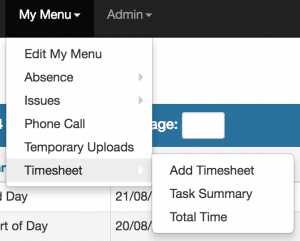 Customise menus to specific teams or users, avoiding clutter and aiding ease of use. Deploy Excelpoint on your own server or use it in the cloud – the choice is yours. Re-brand the application to suit an intranet or corporate style. Authenticate users via Active Directory, or use our secure form based login. For those who do want to get their hands dirty with coding, we can deal with all the mundane and repetitive screens to list, add and update information and leave you to get on with the more interesting parts of the system. As part of this approach, we offer a range of plug in points where you can extend Excelpoint’s capabilities if required to meet your specific requirements. Our team will be happy to help.